The Ministry of Defence recently watched JP Dutta’s Paltan at a special screening and gave a standing ovation to the film. The Ministry of Defence recently watched JP Dutta’s Paltan at a special screening and gave a standing ovation to the film. A special screening was held for the Ministry of Defence as the plot revolves around the lives of some unknown heroes of the Indian army. 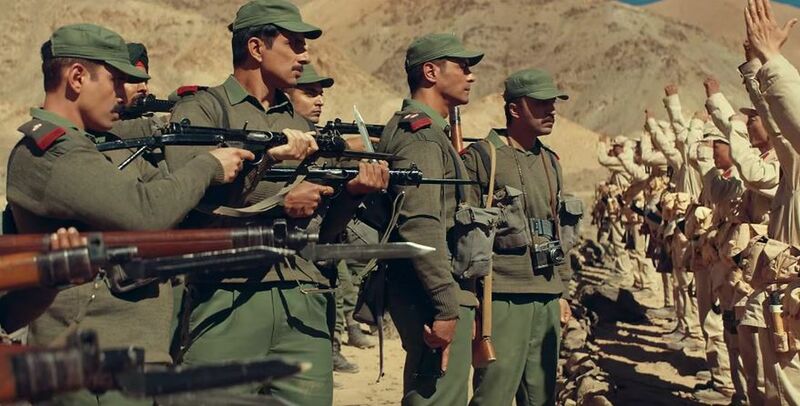 The film was highly appreciated by India’s Ministry of Defence as the story reveals the true incidents from the lesser known battle of 1967 war at the Sikkim border. Also read: Did you know Ladakh opened Khardungla Pass in December especially for shoot of Arjun Rampal’s Paltan? JP Dutta is known for his films showcasing the army’s on-field action in the most realistic way and for this, he had been invited by the Ministry of Defence for the third time to make a film on the iconic event in the history of Indian Armed Forces. JP Dutta who has earlier delivered war films showcasing Indo-Pak wars will now be presenting the lesser known battle between India and China, that took place at Nathu La in 1967.